What is a North Dakota Living Will? North Dakota Living Will: What Is It? A North Dakota living will is often referred to as a healthcare directive. A North Dakota living will documents your wishes related to medical care. It will be consulted by healthcare professionals if you are unable to make your own medical decisions for any reason. This document will also be used to name a healthcare agent. The person named as a healthcare agent is responsible for making your medical decisions if you aren't able to do it. A North Dakota living will needs the signatures of two witnesses or you need to have it notarized. § 23-06.5-01 through § 23-06.5-19: A North Dakota living will, referred to as a healthcare directive, provides one or more instructions for medical professionals to follow in the event that you become unable to voice your desires. 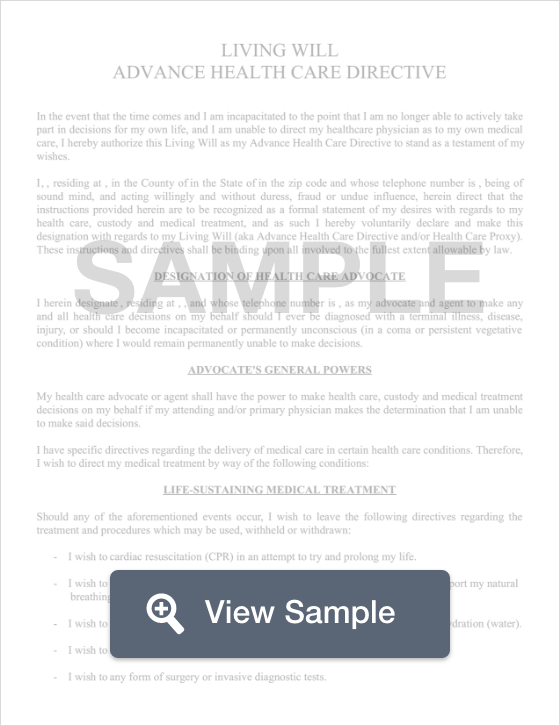 The document may also appoint a healthcare agent to help ensure the wishes expressed in the document are followed. It’s important to keep in mind that a North Dakota living will only provides a way for you to document your wishes related to healthcare. For all other decisions, you should use a North Dakota last will and testament.